Please and Carrots, founded by Stephanie Chan and Shilpa Barchha, is a subscription-based service for parents for educational products for children. Each box contains 5 toys and books, 3 language development activities designed by speech pathologists, and 6 teacher-created activities to develop motor, and cognitive and social skills. 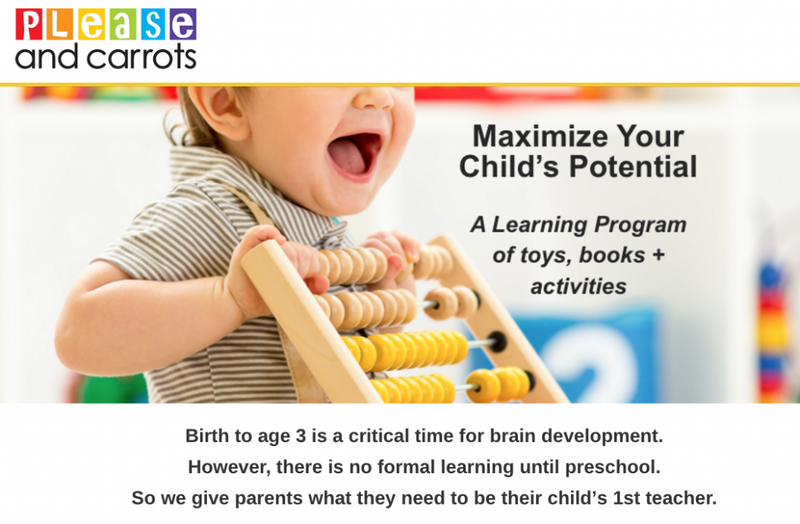 that are sent quarterly with tips and a booklet for games and activities that are all designed to support developmental milestones.